The Fun Doesn’t Stop Here Because It’s Winter – Underground Adventures! As many tourist areas of the UK wind down “at the end of the season” the fun continues and even ramps up here in Snowdonia. How about taking a trip underground – out of the rain and the wind? The temperature underground is reasonably constant all year around so what feels cool on a hot sunny day can feel reasonably warm when the temperature outside drops. 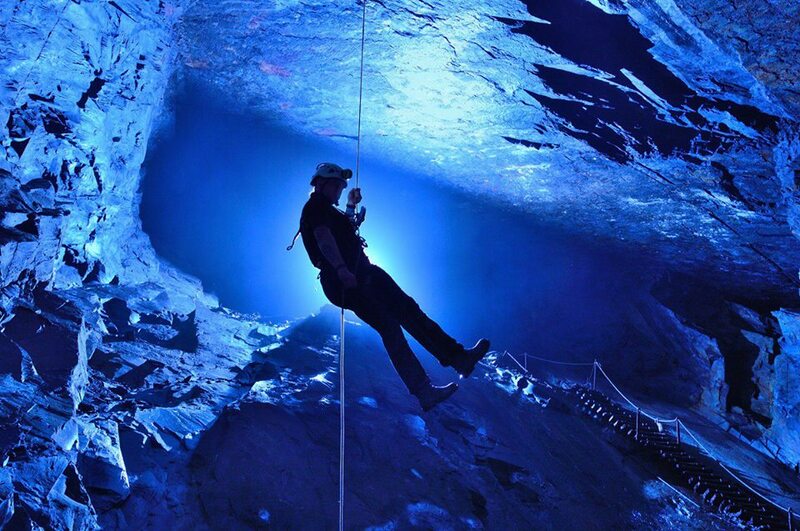 Take a look at what our friends at Go Below Underground Adventures offer. They run activities in local slate mines. It’s not like pot holing or caving as the mines are vast and there are no tight bits to squeeze through. Their Underground Challenge is 4.5 – 5 hours long and includes abseiling, climbing up underground waterfalls, crossing underground lakes, ziplines and more. It is suitable for most adults and youngsters. Their second activity, Challenge Xtreme, is for the fitter and braver. It is 5 – 6 hours long and takes in the deeper part of the mines. Guests staying with us at Cadair View Lodge log cabins often receive a discount on Go Below’s adventures. Go Below’s adventures begin around 25 minutes drive from Cadair View Lodge log cabin accommodation. Take a trip into Braich Goch Slate Mine with Corris Mine Explorers. This isn’t a sanitised tourist attraction but a trip into a mine as it was abandoned 40 years ago. The machinery is there as it was left, along with candles and things like cigarette packets – a Mary Celeste type experience. Various trips are available from a taster up to a half day experience. See the website for full details. Braich Goch Slate Mine is about 25 minutes drive from Cadair View Lodge log cabin accommodation. Visit the new Victorian Mine Trail at Llechwedd Slate Caverns. There is now only one tour at Llechwedd which lasts about an hour. The tour takes you 100s of feet underground via the steepest cable railway in Britain. Here you will hear about the life of a slate miner. You will also see cheese maturing in the caverns. There is a beautifully lit underground lake where it is possible to get married! Llechwedd Slate Caverns are at Blaenau Ffestiniog – about 15-20 minutes drive from our accommodation at Cadair View Lodge. One of the newest underground activities in the area is Bounce Below. 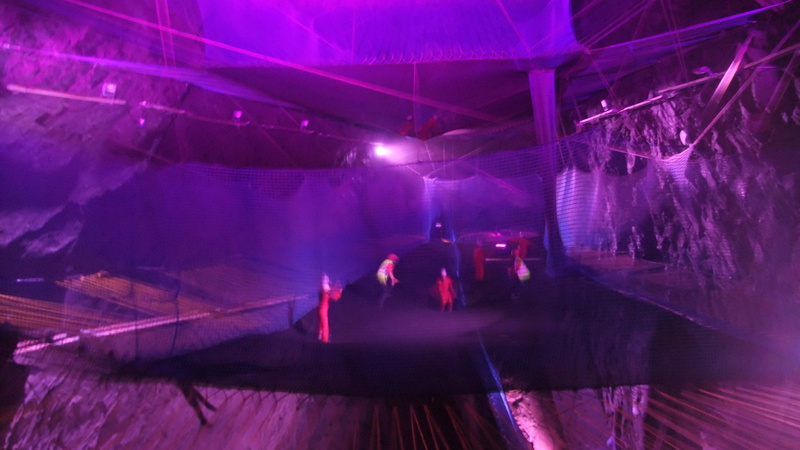 This is a set of large, bouncy nets suspended in a huge underground cavern. The cavern which is around 200ft x 60ft, is part of the old slate mine. Each session lasts around an hour (which is a lot of bouncing) and during the session participants can move over 3 levels via walkways and chutes. The cavern is lit by Technicolor lighting which enhances the experience. Guests get to the cavern by travelling on an old mining tram. The activity is suitable for those aged 7 and over but they must be accompanied by somebody aged 18 or over. 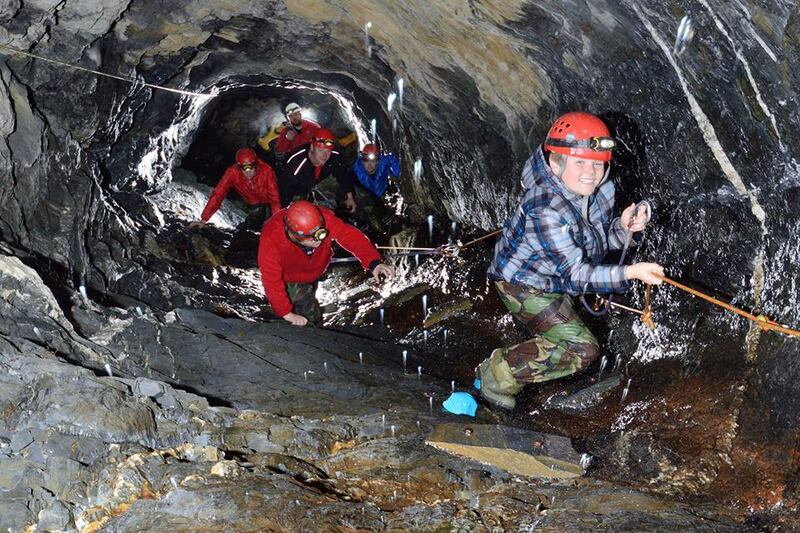 Bounce Below is located within the Llechwedd Slate Caverns complex at Blaenau Ffestiniog – about 15-20 minutes drive from our accommodation at Cadair View Lodge. 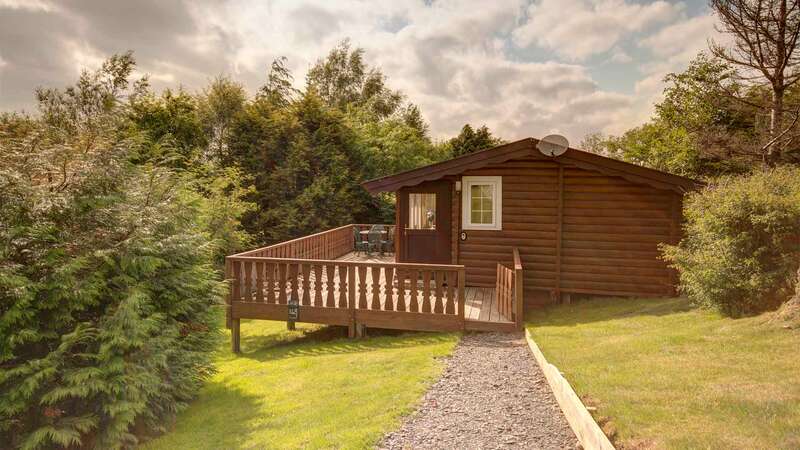 For accommodation during your stay see the log cabins managed by Cadair View Lodge. Guests can stay from 1 night upwards (except for certain dates in November, 24th-25th-26th December, 31st December-1st January). See our latest deals HERE. Have we missed anywhere out? Please let us know. Categories: Have You Packed For Wales, Log Cabin Accommodation, One Big Adventure, Short Break, Snowdonia, Snowdonia Heart of Adventure | Tags: #activities, #holiday, #logcabin, accommodation, December, extreme, February, group accommodation, hen, January, March, stag, weekend stay | Permalink.